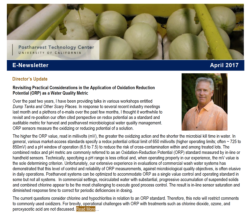 Welcome to the Postharvest Technology Center's E-newsletter Page. Scroll down and fill out the form below to subscribe to the free monthly enewsletter, or you can view previous editions, starting with August 2007.
an "Ask the Produce Doc" feature that one of our Postharvest Specialists has written. To Subscribe: If you'd like to receive the free electronic newsletter, please type in your e-mail address, below. Your information will remain confidential.